The next few months are a crucial time for commitments to a sustainable future that includes palm oil. Many questions remain which hopefully will find answers by the time 2020 rolls around. We have seen members of the Consumer Goods Forum push back their timelines to use certified palm oil. 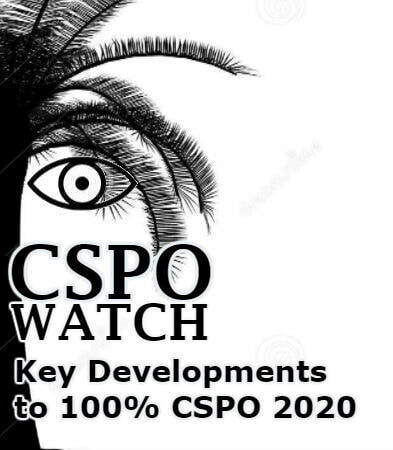 Costs and availability have been the primary excuses used to delay the use of CSPO so what can we expect within these short months? The Malaysian industry continues its work to certify all of its palm oil under the Malaysian Sustainable Palm oil (MSPO) scheme with a deadline for December 31st 2019. 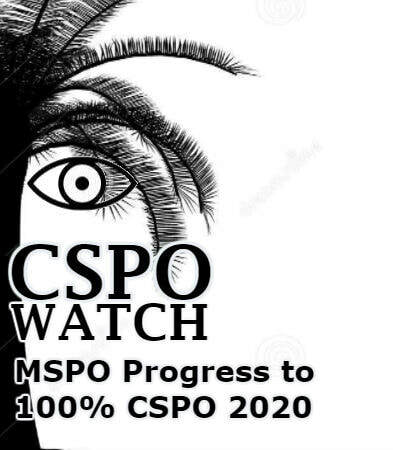 Will the MSPO create a superior Mass Balance CSPO that could fill manufacturer requirements for availability? What will certified sustainable palm oil look like on the ground in Malaysia? Trade deals continue to shape the future of the industries in Indonesia and Malaysia but what will it mean for certified palm oil when the biggest importer of palm oil, India, places more weight on pricing than sustainable production? Can European countries justify a ban on palm oil in biofuels when there are no matching criteria for their exports to SE Asian countries? Will increased use of palm oil for biodiesel in producing countries of Indonesia, Malaysia and Thailand bring price stability for the small holders? Update report March 21.2019 from Global Canopy as reported by Food Navigator shows that most of the commitments to eliminate deforestation from supply chains will fail to meet targets. What is Certified Sustainable Palm Oil (CSPO)? ​Why does sustainably produced palm oil matter? Our Opinion on Palm Oil Matters. A running commentary on the palm oil industry globally.